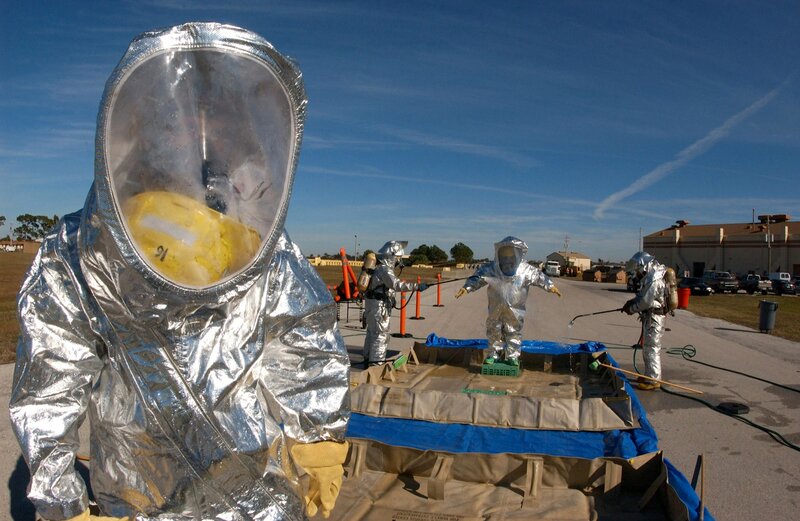 “an overall garment worn to protect people from hazardous materials or substances. These substances include chemicals, biological agents and radioactive materials”. A hamzat suit is basically a class of personal protective equipment (PPE) that is typically utilized by experts that deal with dangerous substances and dangerous circumstances. Hamzat suits give you most of the protection you need from harmful substances, chemicals and agents. Your suit and its specifications will depend mostly on the nature of your task and how much risk is involved. They are designed not to allow any gases in and this ensures that you do not inhale any of the toxic fumes from any chemical or agent you might be dealing with. Sone of then are also built to withstand very adverse conditions like temperature. The materials used can withstand these extreme circumstances and the whole gear is usually fitted with a means of getting clean air and fresh air to the wearer. This is achieved with the self-contained breathing apparatus (SCBA). It is sometimes a part of the suit and some other instances just an attachment to the suit. Hamzat suits are ranked by protection level and this is directly dependent on the kind of protection it can offer. In the US the levels are from A to D and in Europe the levels are from 1 to 6. If you want more information on the Hamzat suit levels, you can refer to the ‘Hazmat suits in detail’ section. How tall is the worker? What does the worker weigh? What is the waist measurement? Are there any preexisting medical issues? Where will the suit be worn? Will it be worn in an enclosed space? Is it an explosive area? Is it to be worn in fires? Is the worker dealing with patients and other people? Is the going to be any mechanical stress involved? Is it in a flash fire situation? What is the nature of the risk involved? How long will the worker wear the suit? Is the risk involved in the task medium or low level? Will there be any climbing required in the task? Will they come in direct contact with any chemicals? Are they going to be dealing with patients? Will they be lifting any heavy materials? What is the kind of suit needed for the job? In the US, the suits are ranked A, B, C, or D.
Will there be an attached breathing apparatus or in built? Categories of Hamzat Suits in Details. In Europe, hamzat suits are categorized by number 1 to 6. 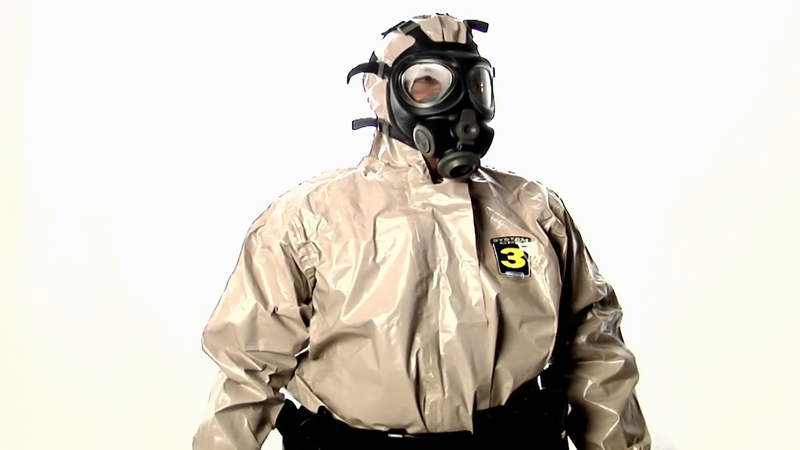 Type 1: this category gives you protection against liquid and gaseous chemicals. It is gas tight and can be compared to the level A in the USA. Type 2: this class protects against liquid and gaseous chemicals. It isn’t designed to be gas tight. It is comparable to the level B in the USA. Type 3: This class will protect you against liquid chemicals for a short period of time. It is built to be liquid tight. Type 5: this class will protect you from liquid chemicals for a short period of time. It only covers some parts of your body. It is comparable to the level D in the US. Type 6: this protects some areas of your body against liquid chemicals. Hamzat suits are classified level A to level D in the USA. Level A: this class is vapor tight and it completely covers you and gives protection against direct and airborne chemicals. They are usually worn with an inbuilt self-contained breathing apparatus. If there is any danger to life and health from fall outs such as clean gases, mists and splashes, this suit must be gas tight, vapor tight and resistant to splash. This makes it possible to protect you against the harmful chemicals and substances. 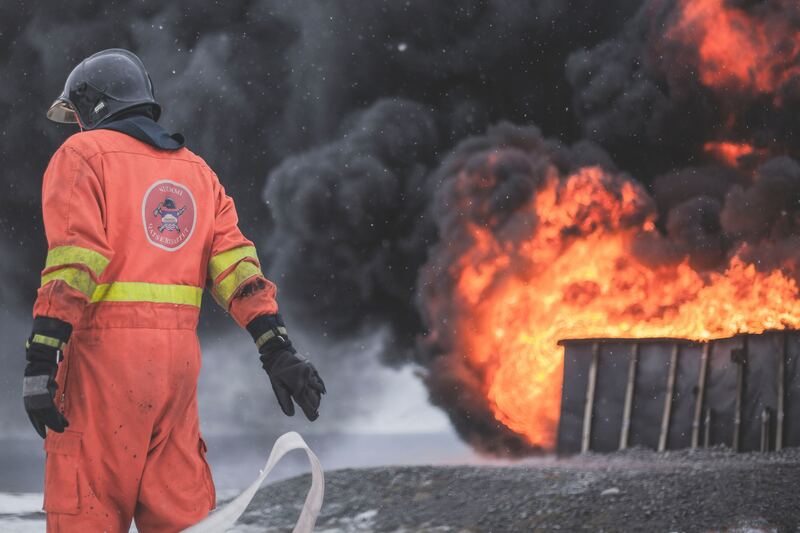 Level A Hamzat suits need a gas tight suit, SCBA, chemical resistant gloves inside and outside and chemical resistant boots with a steel toe and midsole. Level B: this category is not vapor proof and consequently doesn’t give you as much protection. Level B suits are worn with an inbuilt breathing apparatus or an attached one. This depends on the kind of suit. It offers protection against harmful chemical splashes but it won’t give you adequate protection against vapor or gases. Level B protection needs the SCBA or positive pressure supplied air respirator with an outlet SCBA. Also, it comes with chemical proof clothing, gloves and boots with the steel toe and midsole. Level C: this is inclusive of coveralls and splash units that give you a lesser amount of protection compared to the level B and they are usually worn with a respirator or gas mask. Most commonly found with firefighters. 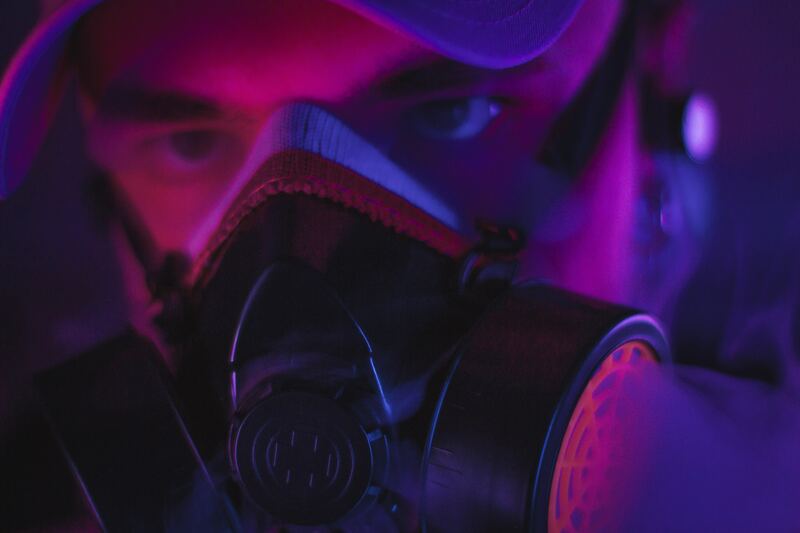 Level C will protect you against known hazardous chemicals and airborne substances but it won’t serve properly for chemical emergencies and oxygen depleted environments. Level C needs the kinds of garments level B uses. 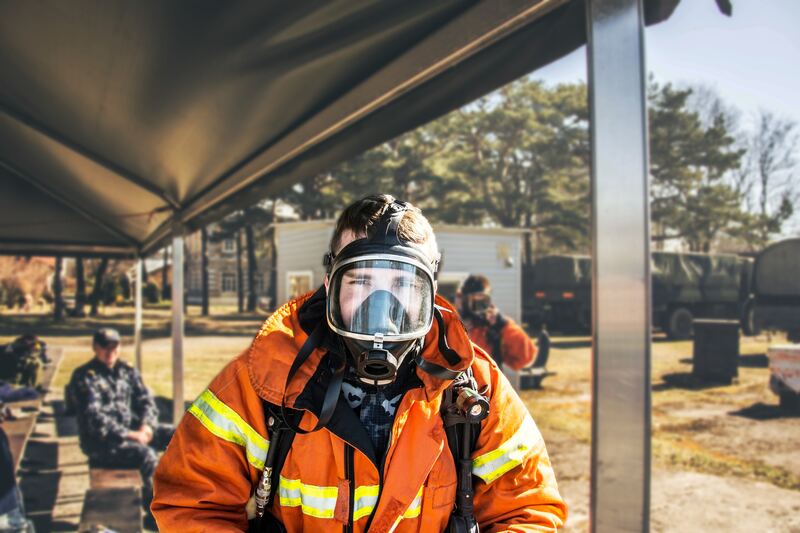 Rather than use the SCBA, an air purifying respirator will suffice. 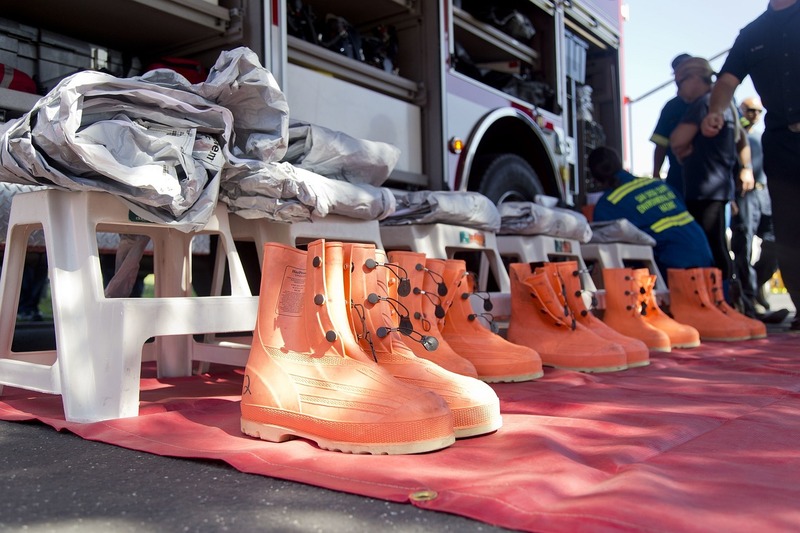 Level C gear also comes with the hard hat and the disposable chemical resistant outer boots. Level D: this class doesn’t actually classify as a Hamzat suit. This is basically specific work clothing and eye protection. You can class it normal office uniform with respiratory protection. Level D gives you the least amount of protection.it is usually used where there is no real danger to workers from chemical exposure. It comes with a pair of coveralls and chemical resistant footwear with the toe shoes and midsole. What kind of breathing apparatus will be used? What kind of footwear will be used? Nature of connectors to extend decontamination phase. Putting the suit on and taking it off. 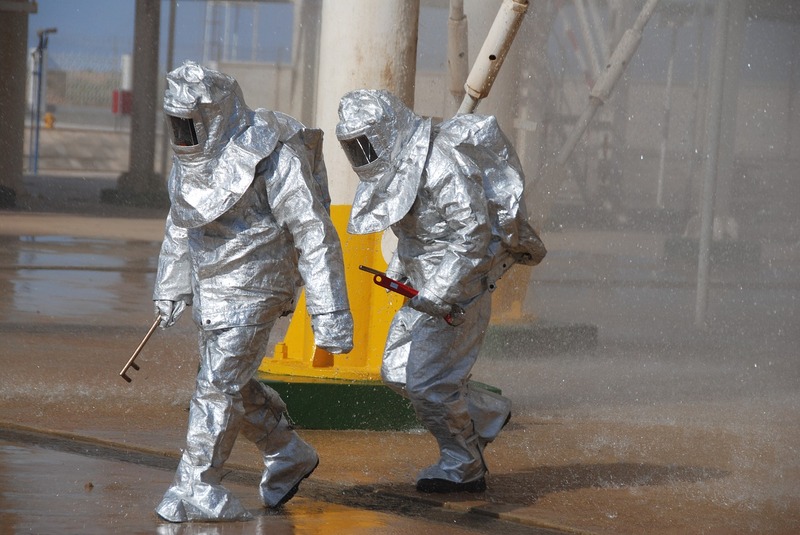 There are different ways to put on and take off hazmat suits. As a result of the varying levels of risk involved with the different scenarios where hamzat suits are needed, all procedures must be adhered to. It is important to understand the procedures and confirm that workers get the correct information and instructions in taking off and putting on hamzat suits. High quality suits will have clear guidelines on the proper and safe way to do this. Pair workers in two so they all have partners. Most hamzat suits will need an extra person to assist the wearer in getting dressed and undressed. 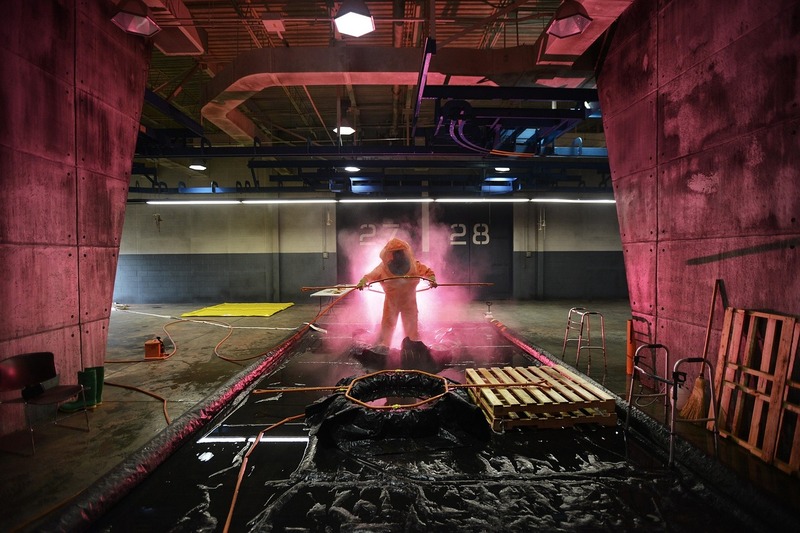 This process will include cleaning and decontamination. If you don’t have enough people in the team, you need to put this into consideration. When you go out to buy the suits and other coveralls, it is necessary to understand the precise method of cleaning, disinfecting and maintenance that is required of the product. These processes are very different depending on the make. Hamzat suits will typically come with a life span so you should take note of this when you buy a new one. How do you maintain the suit? It is also important that shoes are part of the gear worn with the suits. Wear and tear, degradations and discoloring should be noted. When soles get worn, traction is less and this increases the possibility of slips. Hamzat suits and similar protective gear are used in different industries and they are governed by international and industry standards. When you go find the hamzat suit best for you, please consider all of the points and options that have been mentioned in this article. Select the hamzat suit that best meets your specific need, make sure they are manufactured by registered and reputable companies and make sure your staff get proper training and orientation on use and maintenance.